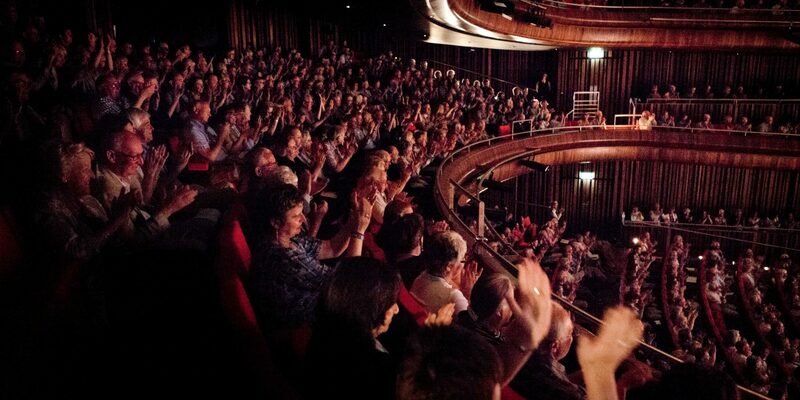 The Marlowe opened in October 2011 and has since become one of this country’s leading theatres. Run by a charitable trust, The Marlowe’s mission is to provide experiences that inspire, enrich and entertain. We bring world-class artists and companies to Canterbury, including visits by the National Theatre, Royal Shakespeare Company, Glyndebourne Touring Opera, Matthew Bourne’s New Adventures and the Philharmonia Orchestra. We also co-produce (with Evolution Productions) an award-winning pantomime that is watched by over 100,000 people each year. Situated in the heart of our building, The Marlowe Studio is a performance space dedicated to the presentation of bold and challenging theatre that reflects the spirit of Christopher Marlowe, Canterbury’s most famous son. The Studio’s programme includes exciting new theatre by some of this country’s most exciting companies including Soho Theatre, Paines Plough, Vamos Theatre and The Paper Birds Theatre Company. The Marlowe Kit, situated in Stour Street, is set to open in October 2018 and will offer intimate performances in the historic atmospheric The Great Hall, including theatre, spoken word, talks, family events and live music. We believe that everyone in our community, regardless of their circumstances or background, should be able to experience the magic of theatre, both as participants and audiences. Our highly popular programme of workshops sees over a hundred people take part in creative activity each week. This programme is open to a range of different ages and includes regular sessions run by professional practitioners on theatre making, playwriting and dance. Our annual community production sees over 240 members of the community work on a specially written play. This year’s (2018) community production, Return Of The Unknown, will commemorate the end of World War One with a powerful and immersive performance taking place in Dover Marine Station. We are also dedicated to giving the best possible theatrical experiences to young people in education and we do this through our Associate Schools programme. Our work with 23 local schools as part of this initiative offers unforgettable creative opportunities to students and their teachers alike, including a partnership with the RSC that works to inspire a passion for Shakespeare amongst young people. The Marlowe Dance Network is a project that partners with schools, teachers and dance professionals to support the development of dance in Kent and the South East of England. The network offers a year round programme of creative learning opportunities, including the chance to join hundreds of young people in performing on The Marlowe’s stages (as part of an annual Dance showcase event) and to work with world-class dance companies such as Matthew Bourne’s New Adventures. We are dedicated to championing new theatre voices in our region, supporting local theatre makers in their ambitions to produce bold and exciting theatre. We make new work, right here in the heart of Canterbury. Our first production, Beached by Melissa Bubnic, was premiered in The Studio in 2014, before transferring to Soho Theatre. This has been followed by a number of successful plays including Run The Beast Down by acclaimed writer Titas Halder, that premiered at The Marlowe in 2017 and then transferred to Finborough Theatre for a successful and critically acclaimed run. Our Roar programme supports writers and theatre makers at all stages in their career, offering playwriting workshops, professional mentoring, supportive sharing and script development. The Supported Artists programme sees The Marlowe work closely with a number of emerging and established theatre artists, providing them with a wide-range of support and opportunities. To help the development of new theatre in our region, The Marlowe has its own Literary Associate, James Baldwin, who brings a wide-range of experience to our team, acting as dramaturg on a number of our projects and providing vital mentoring to local writers. We are committed to celebrating Canterbury’s greatest stories and storytellers and exploring how these stories have impacted upon our world. From spy-playwrights of the Restoration and Renaissance eras, to modern day Nobel laureates, the river runs with stories through Canterbury. Our new venue, The Kit, a live museum and playhouse, will bring these stories and storytellers to life through fascinating exhibitions, an escape room experience based around the dangerous life of Christopher Marlowe, creative workshops and learning opportunities for young people in schools. The Kit will open in Autumn 2018 and is made possible by Pioneering Places, part of The Great Place scheme. Each year over 420,000 people visit our theatre and this in turn generates over £34 million annually for the local economy. This economic impact figure takes into account all the money that is spent by our audience and visiting artists in the city during their theatre visits. The Marlowe is managed by The Marlowe Trust, registered charity no. 1179882. Find out more about how you can support what we do. Find out more about our theatre's work and was was achieved in 2016/17. Our acting, writing and dance workshops help people of all ages learn skills, build confidence, and enjoy themselves!